SoftPlanet makes it possible for everyone to get free Ad-Aware Free Antivirus download directly from our servers. There is no registration needed for downloading. Ad-Aware Free Antivirus+ 11.6.306.7947 is a security application, which combines anti-spyware and powerful antivirus features like real-time protection, download protection and continuously updated filters against malicious links. It assures you great anti-malware protection. Ad-Aware Free Antivirus+ is a privacy enforcement utility, developed to secure your computer from malware such as adware, tracking cookies, browsing hijacks, etc. It enables you to set a restore point for your system in case something wrong happens. Ad-Aware Free Antivirus+ comes with a track cleaning tool. It is a very handy feature, which allows you to delete cache, cookies, history, last typed URLs from the Internet Explorer, Mozilla Firefox and Opera web browsers. The scheduler is another great functionality, which enables you to plan scans on a regular basis. 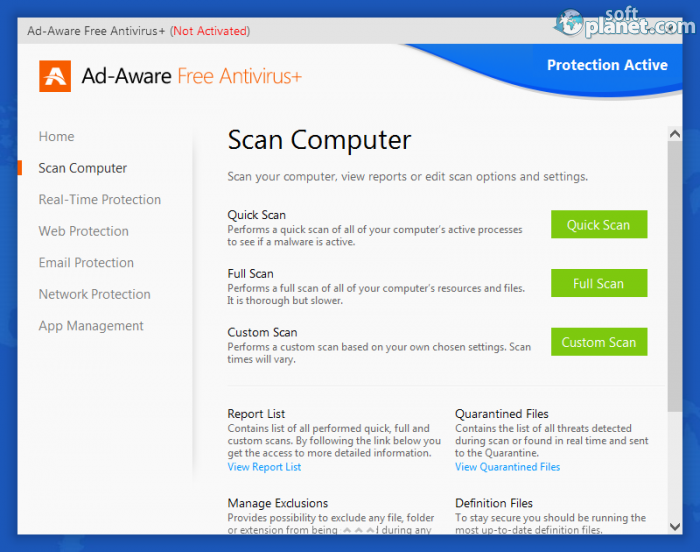 Ad-Aware Free Antivirus+ has a very clean interface with a well-categorized menu. However there is a thing, which I could not find – the program settings. I spent a lot of time and didn't manage to reach a menu with overall adjustments. Despite that the app has a well-structured interface with easy access to most of the features. You can enable/disable functionalities with no more than a couple of mouse clicks. My overall impression of its interface is good, but I still think that the developers need to provide users with quick and easy access to app settings. Unlike its competitors Ad-Aware Free Antivirus+ does not need as many system resources to perform a system scan. The multilingual support is another great thing about it. You can change the language with a single selection from the Language drop-down menu and the interface will be translated instantly. Ad-Aware Free Antivirus+ 11.6.306.7947 is a powerful security tool, which protects you and your system against malware threats. It is free of charge for personal use, which makes it a preferred user choice. It is great not only because it is freeware, but also because of its low system resource needs. Ad-Aware Free Antivirus is VIRUS-FREE! 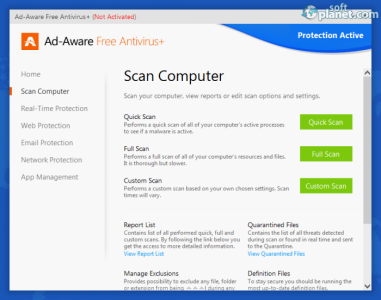 Our security scan shows that Ad-Aware Free Antivirus is clean from viruses. The current version of Ad-Aware Free Antivirus has been scanned by our system, which contains 46 different anti-virus algorithms. That ensures that Ad-Aware Free Antivirus 11.6.306.7947 is 100% safe for your computer.